Start your Rip Roarin' Fun and get to the Puyallup RV Show! Join us May 2 - 5, 2019 to see tons of options to get you started on your journey. 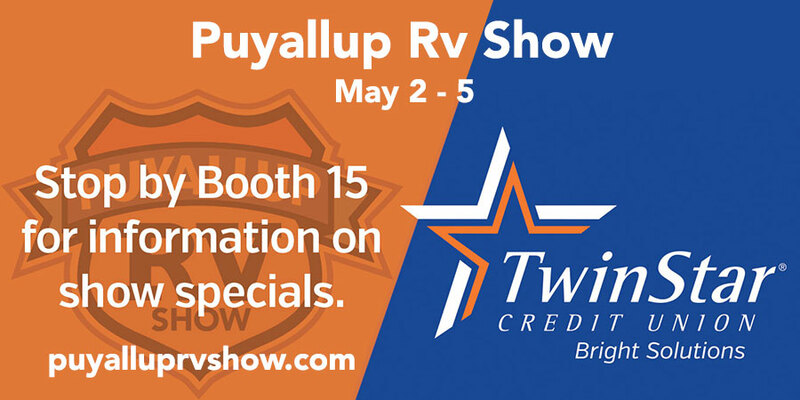 At the Puyallup RV Show, you'll find new and used RVs, educational seminars, featured attractions and exhibits. And, four new manufactured homes will be on display offering a great option for your vacation lot adventures. Get started on your next adventure now! Stop by and see us at booth 15!